Bacon mayonnaise is a flavorful addition to a potato salad or sandwich. 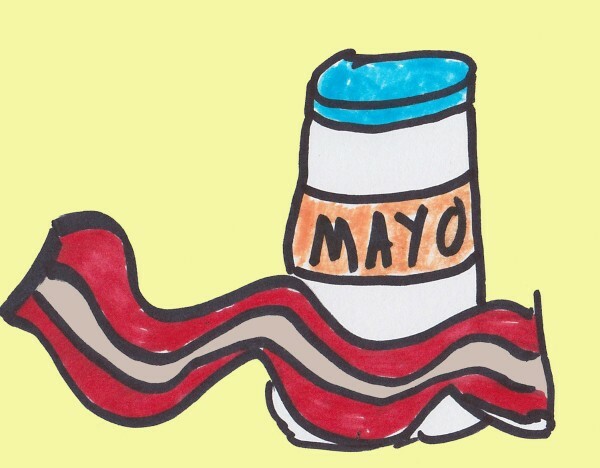 This is a guide about making your own bacon mayo. 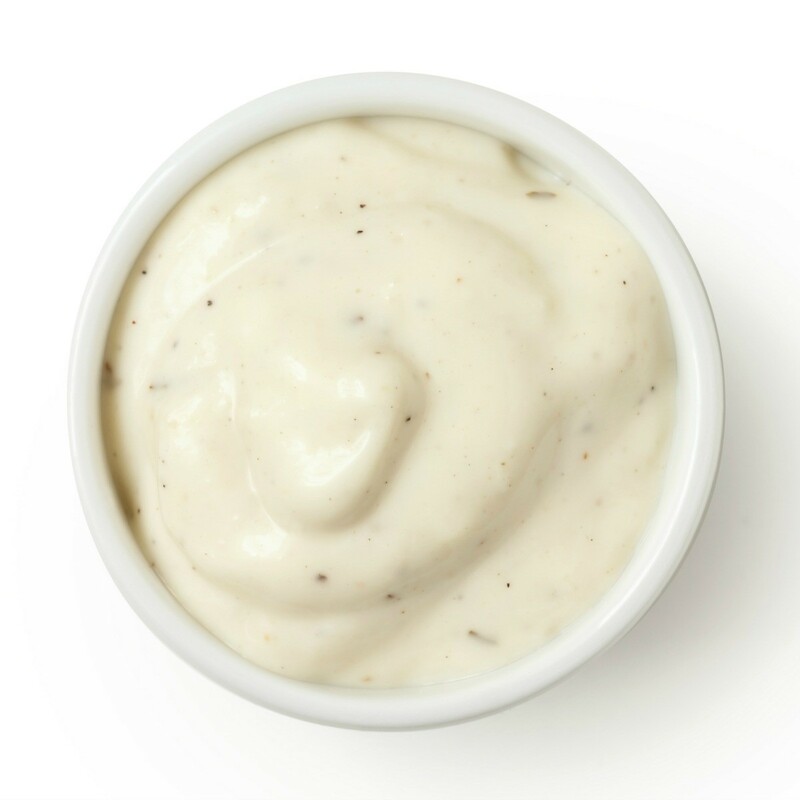 Now and then, we like a little of that name brand gourmet bacon mayonnaise, especially when making potato salad, but it's sometimes hard-to-find in our area and on the pricey side. We don't use it often and end up tossing old product out. Now, we make our own. It tastes as good as if not better than the store-bought without the extra sodium and preservatives; what's also great about this is that if you have reserved bacon drippings and don't feel like making this immediately--no worries! Let them cool and freeze them; just defrost in the fridge two days before doing this. Roasting your bacon makes less mess and gives it a richer flavor. Preheat the oven to 400 degrees F. Layer bacon slices in a glass pie plate; cook uncovered in oven for 15-20 minutes. Cool bacon strips on paper towel and reserve the leftover fat from baking. Let cool just long enough to be able to handle the meat and drippings safely and comfortably. Chop the bacon into coarse bits. Set aside. In small bowl, combine the bacon drippings and about 3/4 cup plain mayonnaise. Sprinkle about 1/8 tsp. paprika and the roasted bacon bits and combine well. Transfer to a lidded container (we reuse screw-top glass jars) and refrigerate. It's good for four days.